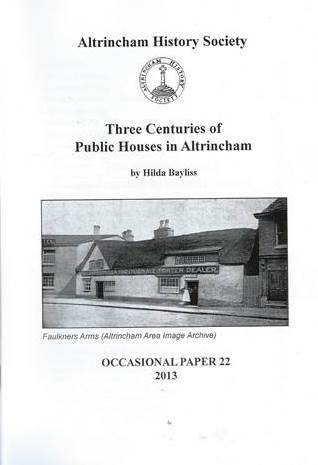 Altrincham History Society publications - journals and occasional papers - are available via the website Genfair. A full index of the Society's publications is available here in 'pdf' format. 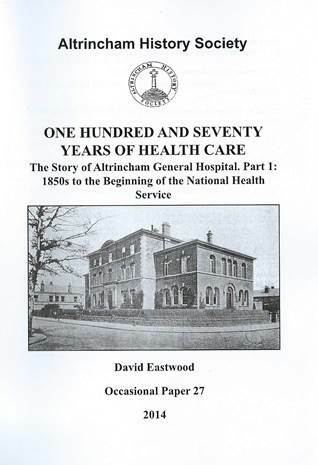 One Hundred and Seventy Years of Health Care: Altrincham General Hospital. 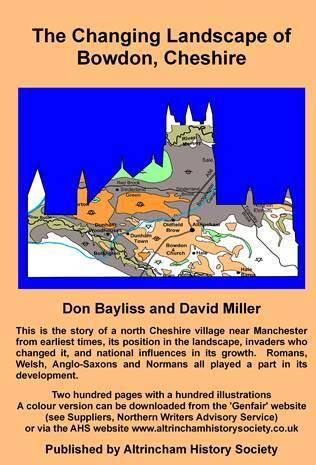 Obituary: Bill Speakman; Roman & Medieval Impact on the Altrincham Area; Railway Crash in Braodheath; Eaton's Inn Revisted; The Manchester & Districts of the Ancient Order of Foresters Investment Association (No. 38, 2018).